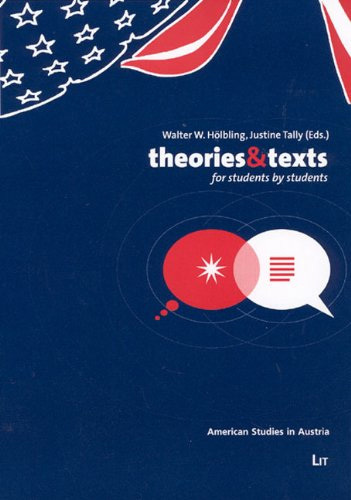 Theories and Texts, a guide written by students for students, explores the critical ideas of twelve of the most influential philosophers of the last 150 years – Marx, Freud, Bakhtin, Lacan, Derrida, Barthes, Foucault, Bhaba, as well as a variety of feminist critics (Kristeva & the French feminists, black feminists, and theological feminists), New Historicists, and Postcolonialists. Carefully “digested” and then set out in lucid and easily accessible language, these essays explain major ideas of each critical approach and exemplify them through practical application to one or more literary texts. At a time when “theory” is on everybody’s lips and yet is often more of a deterrent than an attraction for students of literature and culture, we believe that these essays show how theories can enrich our understanding of literature, facilitate our analysis of a particular text, elucidate the multiple layers of meaning, and thus significantly enhance the juissance in our acts of reading. Literary theory with a différance!